We offer a complete menu of breast surgery procedures at our New Jersey location in the city of Clifton, New Jersey, just across the Hudson River from New York City. At the New Jersey location of MAXIM Breast Surgery, we currently serve clients from Manhattan, Brooklyn, Bronx, Queens, Long Island, Westchester, New Jersey, Connecticut, and the surrounding areas as well as from overseas. We see patients by appointment only, Monday through Saturday, between the hours of 9 am and 5 pm. To schedule your complimentary consultation, please call our office or use our convenient online appointment request form. We are conveniently located at the corner of Clifton Avenue and Sunnycrest Avenue, just off the Garden State Parkway and Route 3 in Clifton, New Jersey. Breast Augmentation/Enlargement uses implants or body fat to increase the fullness and size of your breasts. Fat Transfer to the Breast can increase your breast size without the stigma of implants, by injecting excess fat from your love handles or saddle bags into your breasts. Breast Lift is a procedure designed to restore lost volume and shape to drooping breasts due to age, pregnancy, or breastfeeding. Breast Reduction, also called a reduction mammoplasty, is a procedure that eliminates excess skin, fat, and mammary gland tissue to improve the appearance of overly large breasts. Gynecomastia is the benign enlargement of a man’s breast tissue. We offer the option of surgical removal of the breast tissue. Breast Reconstruction is designed to restore one or both breasts to near normal appearance after a mastectomy, lumpectomy, or other trauma. Learn more about what we do, and see the results of other patient’s procedures. Find some answers to common questions by reading our Frequently Asked Questions. In the U.S., The Breast Surgery Center operates as a management services, marketing and consulting entity for plastic surgeons that match as any inquiries on this website with affiliated plastic surgeons who offer breast surgery procedures and related services. The Breast Surgery Center is not in the business of providing patient care, offering medical services, or rendering medical advice or opinion. All consultative, pre-op, surgical and post-op care is delivered by affiliated plastic surgeons and their ancillary medical staff in their respective medical practices. These surgeons are responsible for all medical/surgical procedures and related services performed as well as outcomes and complications, if any. All fees for procedures performed and services rendered are paid by the customer directly to the surgeon who determines his/her own fee schedules. MAXiM Breast Surgery in New York, NY uniquely specializes in breast surgery. Dr. Paul Dreschnack is an experienced board-certified surgeon with 35 years of experience. 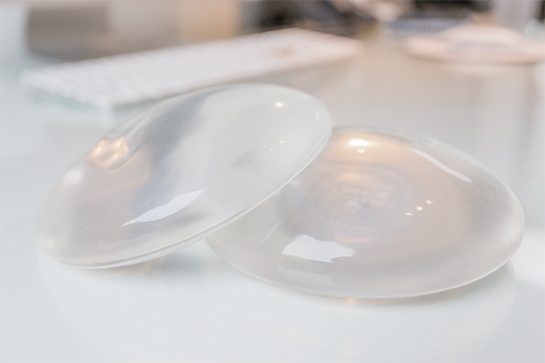 Dr. Dreschnack focuses on breast implants, reductions, and lifts. The Breast Surgery Center offers procedures such as Breast Augmentation, Breast Lift, Fat Transfer to the Breast, Breast Reduction including Gynecomastia, and Breast Reconstruction.MAXiM Breast Surgery in New York, NY uniquely specializes in breast surgery. Dr. Paul Dreschnack is an experienced board-certified surgeon with 35 years of experience. Dr. Dreschnack focuses on breast implants, reductions, and lifts. The Breast Surgery Center offers procedures such as Breast Augmentation, Breast Lift, Fat Transfer to the Breast, Breast Reduction including Gynecomastia, and Breast Reconstruction.